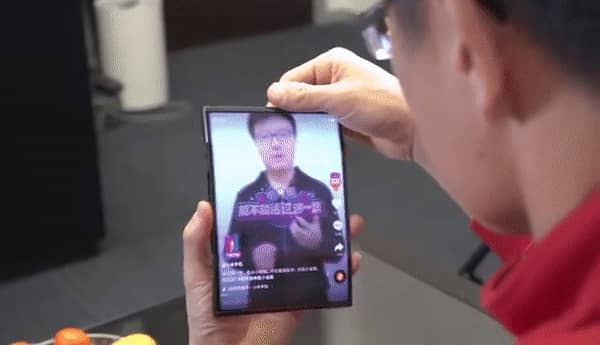 Foldable smartphones seems to be the new trend for the year 2019. Samsung is expected to announce it's first foldable smartphone on February 20. Huawei and LG are also reportedly working on their own foldable phone. A new video has just surfaced which shows Xiaomi's co-founder and CEO Lin Bin with what looks like the company's own foldable device. He was seen on camera demonstrating how the device works. Unlike other foldable device and renders that we have seen so far, this is completely different. The device doesn't fold inward but rather folds outward with two creases. When in tablet form, you can fold both the top and the bottom of the device backward into a smartphone which looks like a 3:2 display aspect ratio. This is the first double folding smartphone we have seen so far. The device shown in the video is however still a prototype. We still don't know when the phone will go into production or when Xiaomi will officially unveil it. So we can't get too excited yet as the final product might be different from what we are seeing now.